MOSCOW, December 6. /TASS/. Units of the Iskander-M tactic ballistic missile system of the Eastern Military District have carried out a test missile launch in the Astrakhan Region. The target was hit at a distance of 80 km, head of the district’s press service Colonel Alexander Gordeyev said on Thursday. "The units of the new Iskander-M tactic ballistic missile system successfully carried out a test launch of a ballistic missile at the Kapustin Yar Range in the Astrakhan Region. The target, which imitates the fortified command post of an illegal armed unit, was hit at a distance of about 80 km by a pinpoint missile strike," the officer said. 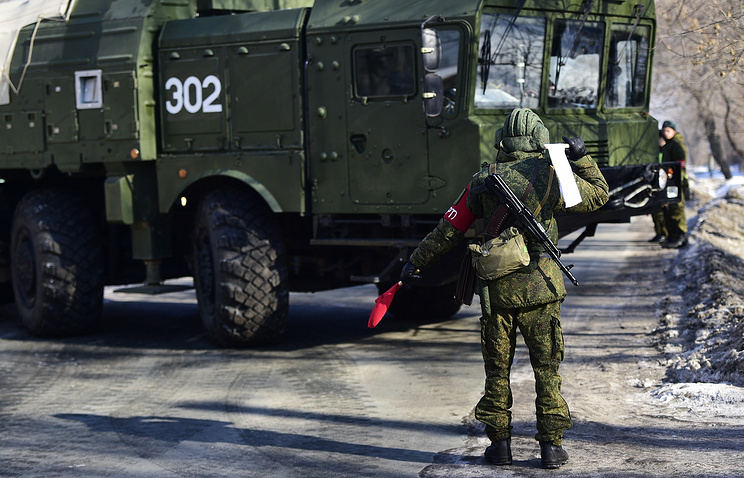 After the launch the units trained to urgently change the missile deployment area. 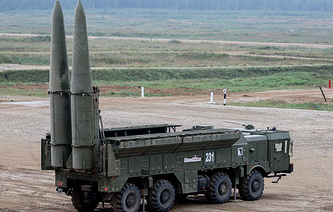 "The events are being held as part of a tactical exercise under the plan of the final stage of the testing of the new Iskander-M tactic ballistic missile system, which joined the missile formation of the Eastern Military District located in the Jewish Autonomous Region," Gordeyev specified.